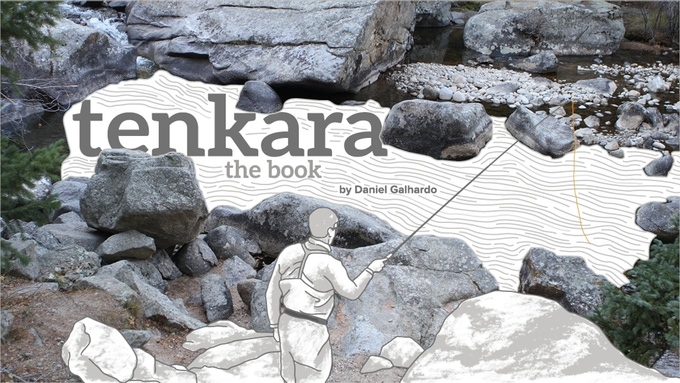 Daniel Galhardo of Tenkara USA has started a Kickstarter project aimed at writing and publishing a book on tenkara. 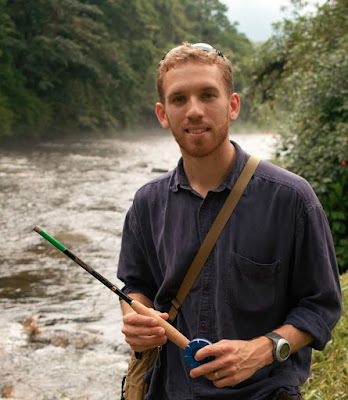 Daniel, as you know, is the person credited for making tenkara more widely known in the USA in the late 2000's. He has traveled to Japan on several occasions and has met with, fished with, and interviewed many of the most influential tenkara anglers of that country. He has tirelessly championed tenkara and was the first to start a USA based tenkara retail store. He is a very nice guy and a great credit to tenkara. I know that I, like so many of you, am indebted to Daniel for introducing me to tenkara through his website and products. I have watched over the past few years as Daniel and Tenkara USA have worked tirelessly to advance the cause of tenkara, only to have startup after startup come into the market to compete directly with Tenkara USA. Many of these companies are there only to sell products, but they don't promote tenkara as it is fished in Japan. Rather, they promote "fishing with a tenkara rod", not tenkara fishing. Daniel has survived many a tenkara controversy, some of which I have been involved in. He has been verbally attacked and ridiculed more than once for his advocacy of "one fly" tenkara and other more traditional tenkara techniques. He doesn't deserve the pushback that he has occasionally received. So I'm asking you, the readers of my little blog, to support Daniel in this book endeavor. I'm sure you will get your money's worth, and better yet, you will be supporting a great guy (who deserves our thanks and support). So again, please go to Kickstarter and support the project. Also, please get the word out! Daniel Galhardo. Borrowed from Here. Tom, thank you so very much for helping spread the word! Also, many thanks for the kind words of support, much appreciated! Thanks to your support and all the tenkara aficionados out there the project has already reached 95% of the funding goal in less than 5 hours. This will be an awesome project and more resources will be put into it making it exceptional. "Daniel has survived many a tenkara controversy, some of which I have been involved in. He has been verbally attacked and ridiculed more than once for his advocacy of "one fly" tenkara and other more traditional tenkara techniques. He doesn't deserve the pushback that he has occasionally received." Absolutely spot on. Couldn't agree with you more.